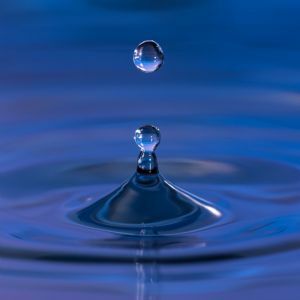 The water industry faces a substantial skills gap in the coming years, but could a greater focus on gender and diversity provide the answer? 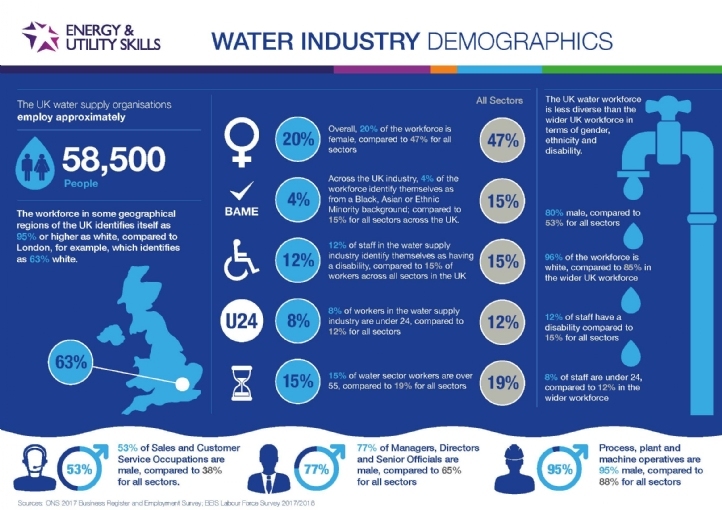 With an ageing workforce and changing technology bringing new specialisms and skill sets to the fore, the water sector faces a pressing need to get to grips with the skills gap. For PR19, Ofwat has included the need to consider potential workforce issues for the first time as part of ‘resilience in the round’, and there is no room for complacency. 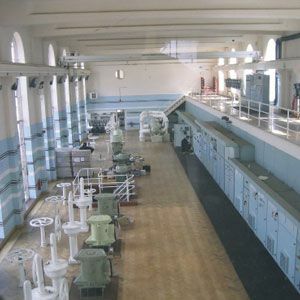 Energy & Utilities Skills research published in November showed the water supply sector has a lower percentage of workers aged below 24 than the average across all other sectors, and it said last year that an estimated 63,000 vacancies would need to be filled across the industry by 2027. 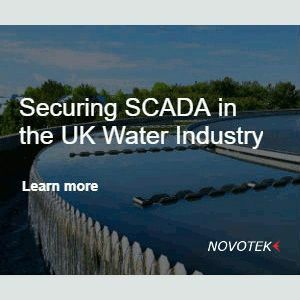 Water companies and the supply chain are having to contend with shortages at a time when the range of skills required is diversifying, and there is also a need to compete with rival industries that may boast higher profiles and bigger salaries. One area that appears ripe for improvement is diversity: EU Skills found that 80 per cent of the water workforce is male, compared with 53 per cent for all sectors, while 4 per cent identify as coming from an ethnic minority background, compared to 15 per cent across all sectors. Attracting new streams of talent is no easy task, though, and doing so will require fresh thinking and concerted efforts. So how big an issue is the lack of diversity in the water sector and what is being done to find solutions? 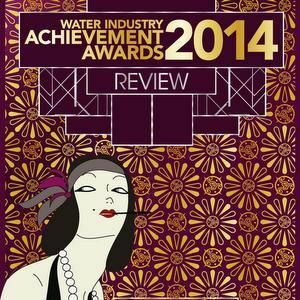 In some respects, the water industry’s record on female representation is encouraging. Northumbrian Water, Severn Trent, NI Water and Affinity Water currently have female CEOs. This summer, Pipeline, which concentrates on the number of women in executive roles, said Thames Water has made a “huge leap forward” on female representation, with women making up a third of its executive committee. Earlier in the year, the Office for National Statistics revealed that the grouping of water supply, sewerage, waste management and remediation activities had a smaller gender pay gap (5.5 per cent mean and 6.9 per cent median) than any other sector. Even so, this may be obscuring the true picture. Even taking gender out of the equation, STEM (science, technology, engineering and mathematics) recruitment is a subject of concern throughout Britain – STEM Learning recently found that 89 per cent of STEM businesses had found it difficult to recruit staff with the required skills in the previous year. When gender is factored in, the situation looks even worse. EngineeringUK’s research showed that – despite girls performing better at STEM subjects at school – only 12 per cent of the workforce is female across the British engineering industry. 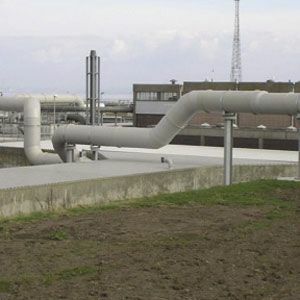 According to the Energy & Utilities Alliance (EUA), this represents the worst record in Europe; by comparison, Latvia, Cyprus and Bulgaria’s engineering workforces are around 30 per cent female, Sweden’s 26 per cent and Italy’s 20 per cent. Greater diversity could result in significant benefits. 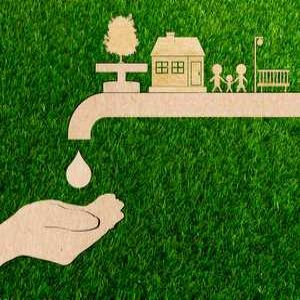 By widening the net and employing more people from beyond the usual demographics, the water sector could not only go a long way towards addressing its skills shortages but potentially open itself up to different approaches, with research supporting the notion that greater diversity yields a greater range of ideas. In its ‘Delivering Through Diversity’ report at the start of this year, for example, global management consulting firm McKinsey found that companies in the bottom quartile for both gender and ethnic/cultural diversity were 29 per cent less likely to achieve above-average profitability than all other companies in its data set. Future Water Association CEO Paul Horton says: “If you take John Lewis as an example, they’re very involved in the local community, and I think if you looked at their employees they will reflect the local community in terms of background, skills, knowledge, gender and ethnicity. Attracting new talent relies on creating greater awareness of the sector and boosting its appeal, and EU Skills is working to do exactly that through the Talent Source Network. A web portal that was created to bring about a major influx of new blood, it helps show young people – and particularly women and those from minority groups – that the utilities can offer fulfilling career options. 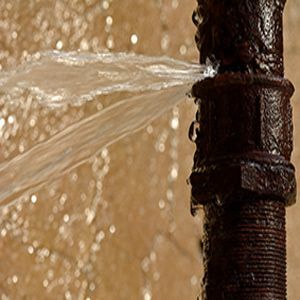 It emerged from the Energy & Utilities Skills Partnership, a collaboration of 28 organisations – including Anglian, Northumbrian, Scottish, SES, Thames, United Utilities and Yorkshire as well as major water contractors – that shared a need to bring in quality staff in large numbers. Talent Source Network details vacancies, apprenticeship schemes and graduate programmes and highlights success stories. Those sharing their stories work at all levels in the utility industries and come from a variety of backgrounds – Alison Fergusson, for example, discusses her journey to becoming Ofwat’s principal engineer, while Jade Richardson talks about why she became a smart meter engineer and technical specialist at Morrison Utility Services after having studied both health & beauty and plumbing at the same time as working in retail. Ellins believes the percentage of women is down to the language used. To bring about a new approach, Talent Source Network has employed two younger people who are experts at digital media but know little about the utilities. “When you’re talking about a job, you don’t intend to but you load the statement with a whole series of beliefs, and if those beliefs aren’t focused on the audience you’re pitching towards, it doesn’t work,” he says. “With the Talent Source Network, it tends to talk more about the outcomes of what the water industry does when it’s directed at females and more about the inputs when it’s talking to males. British Water is also hoping to play a leading role in the drive to encourage women to enter and recently held a new event called Women in Water, where attendees could hear from the likes of Northumbrian CEO Heidi Mottram and Parliamentary Water Group co-chair Angela Smith. Lila Thompson envisages a network similar in character to Women in Mining, an organisation created in 2006 that has over 2,000 members. It is free to join for any women working in the industry and organises a wide range of initiatives such as seminars and mentoring programmes. Perhaps the single most important factor in finding a solution to the skills gap is the need to appeal to youth. 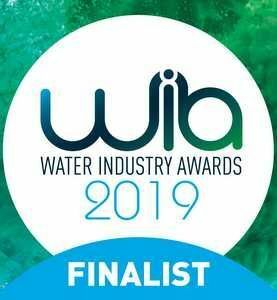 The Future Water Association is seeing promising signs on that front with Young Water Dragons, a competition for people aged between 11 and 16 interested in STEM subjects; it was named People Initiative of the Year at the 2018 Water Industry Awards. The competition sees young participants encouraged to apply their minds to water challenges with the help of mentors from companies in the water industry. 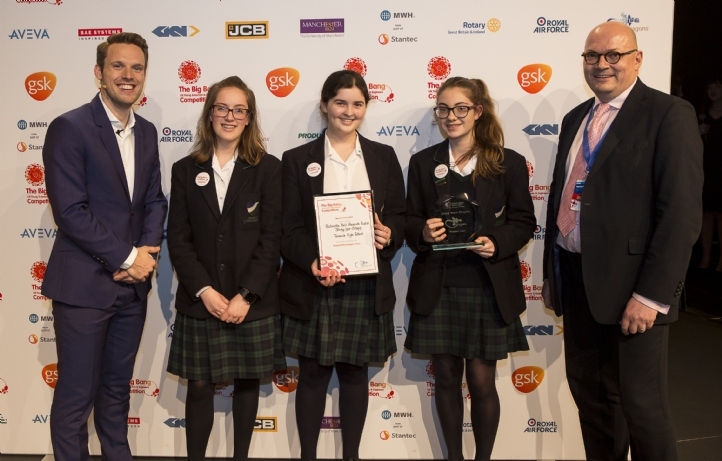 In 2016, a team of girls from Guildford won the first ever Young Water Dragons prize after developing an optical-based ‘switch’ to divert the first flush of water harvested from roofs to settlement tanks before sending cleaner secondary flows for toilet flushing. 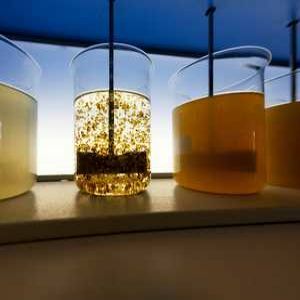 Last year, a team from Teesside Girls School won with a project based on eliminating algae growth in reservoirs and recycling the algae as fuel. Tackling the skills gap will require efforts on numerous fronts, and clearly many in the industry recognise the scale of the task. 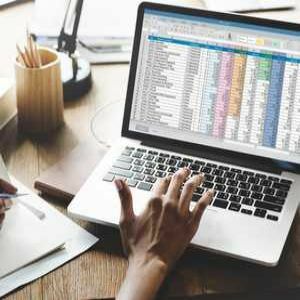 While the Government’s apprenticeship levy prompted a 60 per cent drop in the number of apprenticeship starts in the six months after it was introduced in April 2017, utilities employers found ways to make it work. The sector – along with the Energy & Utilities Independent Assessment Service, the dedicated end-point assessment body run by EU Skills – was praised in the House of Lords in November as “one of the most trailblazing of all those involved with developing new apprenticeships”. 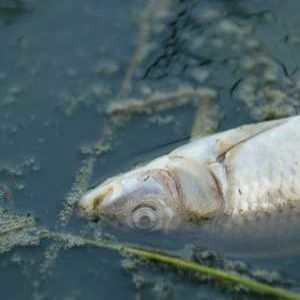 The Future Water Association has also launched a ‘Corporate Knowledge Retention’ group to help retain the knowledge, experience and understanding of older workers who could leave the industry over the coming years. Even so, there is much to be done to prepare for the challenges ahead. According to the EUA, while 75,000 people graduated with a STEM degree in 2016, only 24 per cent were known to be working in a STEM occupation within six months; given the vast number of companies struggling to recruit STEM candidates, it hints at the scale of the battle to convince potential employees that their future is in water. While bringing greater numbers of women and ethnic minorities into the sector would appear to be an important part of the solution, Horton suggests the search for greater diversity should extend even further. “The sector needs a range of skills, from engineers through to behavioural scientists through to those who understand data and are au fait with modern technology, everything from mobile phones to AI to VR and beyond,” he says. Ellins agrees that there should be no limits to the search for greater diversity. “The biggest issue on all of this is about being representative of your community,” he says. “In itself, the male-female divide, when you look by competence – because people are employing by competence – doesn’t seem to make any difference. “From the competence point of view alone, everyone’s saying: ‘I’m an equal opportunities employer, I’m not going to skew my employment to any form of bias whether it be gender, race or anything’, but the key point comes down to this: Do you get balanced thinking if you have a skew to one workforce type over another? Looking at ways to inspire young females to follow a career in engineering is not something that has been lost on United Utilities. “Our future success relies on attracting the next generation of engineers both male and female,” Joanne Rands, the company’s head of process delivery engineering, says. “We have realised an ideal opportunity to showcase what we’re all about is to work more closely with the education sector. The company also runs award-winning apprenticeship and graduate schemes. 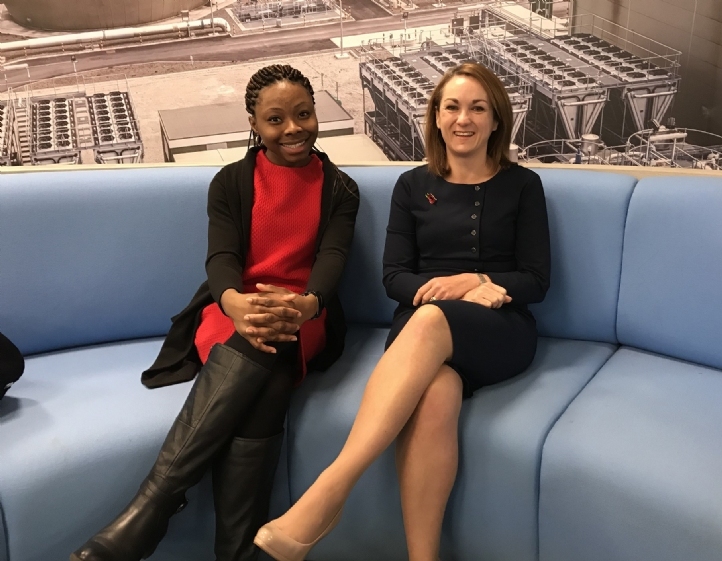 Kemi Akinola joined the company five years ago after learning about United Utilities at an engineering careers fair that the company attended. “I thoroughly enjoyed my master’s degree, which was in environmental engineering and sustainable development,” she says. “During this degree, I learnt about water and wastewater treatment in detail, and I was motivated to pursue a career that would enable me to contribute to providing people with water – an essential resource – whilst protecting the environment. “The importance of environmental protection demonstrated in United Utilities’ projects was what attracted me to the company, and subsequently led me to apply for a place on its graduate engineering scheme. 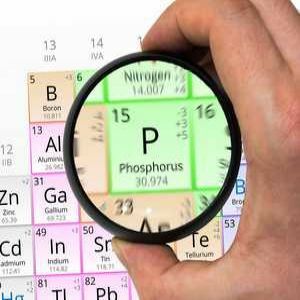 “My job as an area process engineer is all about problem-solving in order to provide solutions to a range of problems, using two of my favourite subjects at school – maths and chemistry. Hannah Black joined Severn Trent in August 2013 after completing her A-levels. 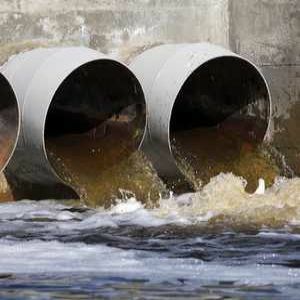 She says the Severn Trent scheme appealed as she could see the positive difference the company makes, and she wanted to be part of that. “I was inspired by my grandad to pursue a career in engineering,” she says. “I felt that the apprenticeship route would suit my needs and allow me to get the hands-on experience while learning too. I knew I wanted to be part of an industry which has a positive impact on its customers and the environment. That’s why a role in the water industry really appealed to me and the Severn Trent apprenticeship scheme seemed perfect for this. “I started my career as a mechanical maintenance technician working on wastewater treatment sites and completed my advanced apprenticeship while in this role. I loved the varied nature of this role and the skills I learned were invaluable. Despite working in a male-dominated team, I never felt like this held me back. 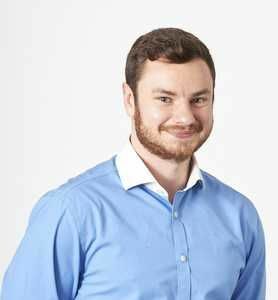 “About a year ago I moved into a new role within the capital delivery department as a project engineer; now I deliver capital programmes on the kinds of sites I used to maintain. “Objectively speaking, it feels strange still having to talk about gender equality in 2018. But in an industry where a female business leader continued to be asked whether being a woman has held her back, we do still need to address the issue. Until people stop asking such questions, there’s clearly a mindset remaining within society that means people have different expectations of men and women. “The fact remains we are in a situation where, while things are improving, much more needs to be done to achieve equality of opportunity for all, whatever their personal characteristics or backgrounds, not just on the grounds of gender. “Embracing equality isn’t just good for the individuals involved, as important as that is. Diversity is vital for many organisations if they wish to achieve their full potential. 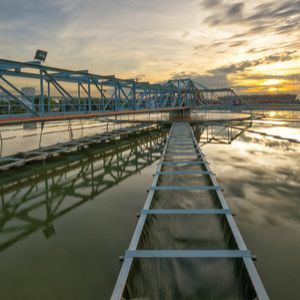 Forecasts from the Energy and Utilities Skills Partnership have highlighted that the water industry has a net requirement to fill 63,000 vacancies by 2027, with energy and utilities firms needing to fill a total of 221,000. “Attracting diverse talent from the widest pool possible and creating a genuinely inclusive environment, where people feel comfortable and valued for the contribution they personally make, means everyone wins. Employers get motivated and engaged people who do a great job, people enjoy their work and customers and other stakeholders directly benefit from efficiency of the business and the quality of the service and work delivered. “Outdated stereotypes and the assumptions they lead to need to be broken down – they are damaging, because they form at an early age and stay with people. A study of 400 children, conducted by three United States universities, showed girls as young as six believe ‘brilliance’ is a male trait. If that doesn’t tell us that something needs to change in the way parents, teachers and even the media portray not only gender but all of the other sectors of society I’ve previously mentioned, what does? “The latest statistics from the Women’s Engineering Society show a growth in the percentage of the engineering workforce that is made up of females, but only from 9 per cent in 2015 to 11 per cent in 2017. “Research studies show certain language can subconsciously put women off applying for a role but, interestingly, ‘female-friendly’ terms don’t impact on how men see the role. A research study published in the American Psychological Association found women’s style of communication is more communal, using more emotional and social words than men’s style of communicating. At Northumbrian Water, we’re looking at a range of ways to adapt our recruitment process to make jobs as appealing to women as to men. For example, we place a focus in adverts upon the candidate behaviours we look for, as much as technical skills, and more female-friendly language is being used. “This, along with a real effort to have gender-balanced shortlists, from apprenticeships to senior roles, and a focus upon nurturing the emotional intelligence of our leaders and demonstrating this through the use of female role models, is also playing a part in attracting more women into our workforce. “Research shows women really value the culture of a business and the ability to work flexibly as well as the opportunity to be involved in community work and networks, so we also put a focus upon this, through our involvement in the Women in Science and Engineering (WISE) campaign. “The great news is that we have some amazing female role models at all levels of the industry and the opportunities for women to come into our sector are also broader than ever before, with entry points opening up at many stages of working life. “At Northumbrian Water, we already have a female chief executive plus four other women directors, and women in management roles – even outside of those ‘support’ function teams – are becoming more common. And we are seeing young women join us in roles such as maintenance and project management, which is fantastic.